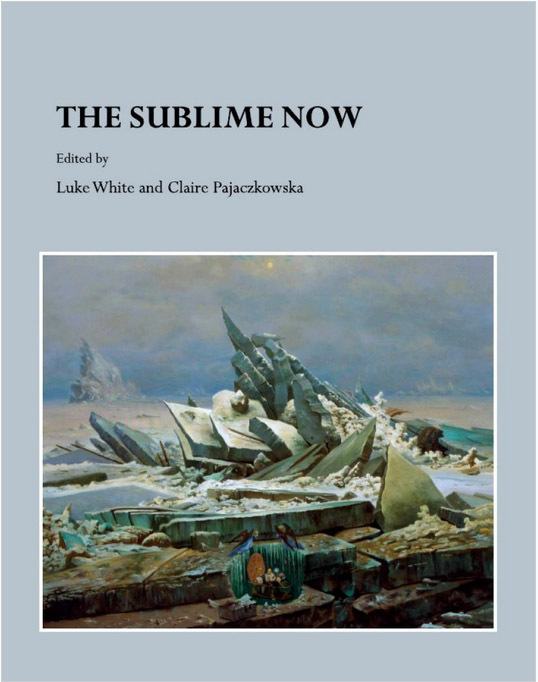 The Sublime Now is a co-edited book with introductory essays and a sole-author chapter by Pajaczkowska. The book was initiated in response to the relativity of the concept of the postmodern arising from seminars and a Tate conference, ‘The Sublime Now’, Tate Britain, London, co-organised by Pajaczkowska (October 2007). The book explores the concept of the sublime as a secular trope of the religious, numinous or transcendent, from its origins in classical antiquity to its recent resurgence as a manifestation in current popular culture and art. The book is divided into five sections. The Cinematic Sublime and the Ecological Sublime are contextualised with essays by Pajaczkowska indicating the new directions given by this reactivation of the concept initiated by Longinus and developed by Kant. Pajaczkowska’s chapter, ‘Ravishing noir: The unconscious in Hollywood’s B movie sublime’, develops the research she undertook for Shame and Sexuality? Psychoanalysis and Visual Culture (2008). Challenging traditional interpretations of Hollywood film noir, with the new perspectives that derive from the Core Complex concept, Pajaczkowska repositions the meaning of noir cinematography in post-Holocaust culture. She argues that the role of the Sublime Now is to rethink the hierarchies of value, power and subjectivity. The book was discussed in the journal Visual Culture in Britain (Vol.11, Issue 2, 2010), the reviewer noting its ‘serious and timely ambition’. The re-activation of the concept of the sublime, beyond postmodernism, has been further developed into an AHRC Collaborative Doctoral Partnership with Tate Britain, and into an AHRC Research Development Grant (2013): Cultural Value. Pajaczkowska is co supervisor of the doctoral partnership and Principal Investigator of the Cultural Value research development project.